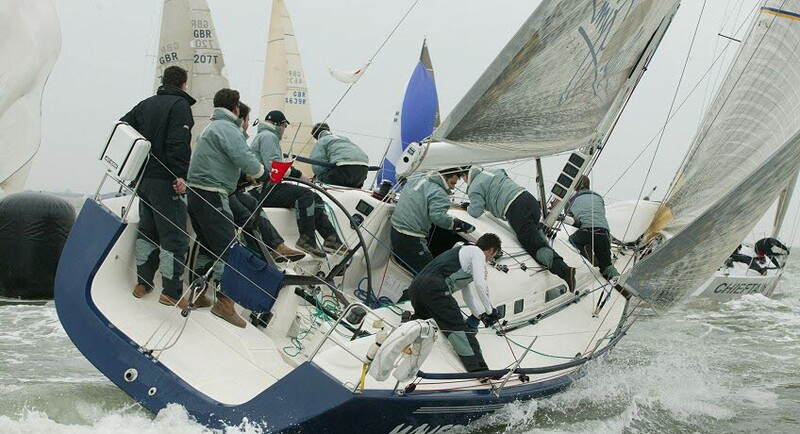 29 June 2019 - One of the world’s largest and most famous yacht races attracts sailors of all ages and abilities from across the globe, sailing some 1700 boats which range from true classics to the latest one-designs and multi-hulls. It is a fantastic event for spectators with numerous vantage points across the Island - see our spectator guide. 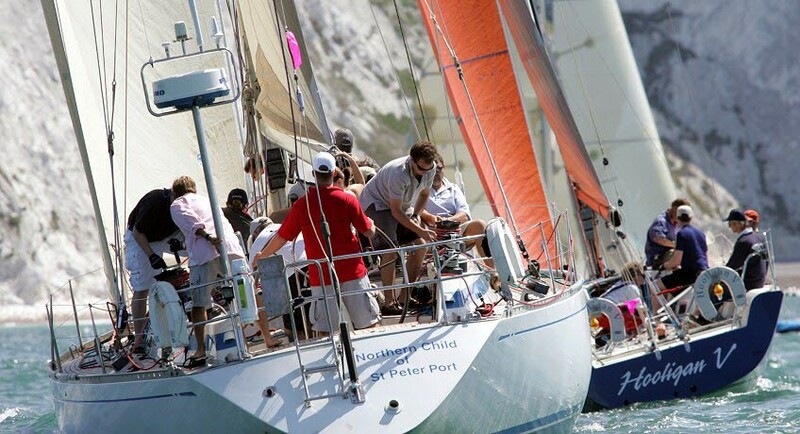 The 2019 Round the Island Race, in association with Cloudy Bay is a spectacular one-day race on Saturday 29 June 2019 around the Isle of Wight which is run by the Island Sailing Club. 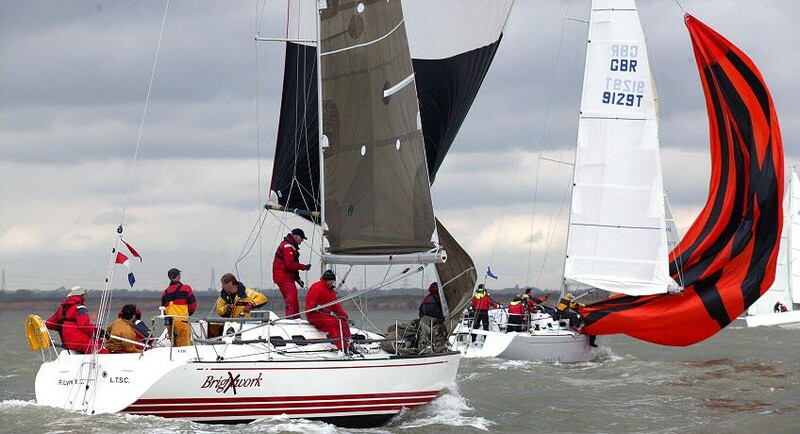 Today, the race regularly attracts over 1,700 boats and around 16,000 sailors, making it one of the largest yacht races in the world and the fourth largest participation sport event in the UK after the London Marathon and the Great North and South Runs. It's all a far cry from the very first race which took place in 1931 with just 25 entries - Peter Brett on his 22 foot Cornish fishing boat "Merry Conceit" won the Gold Roman Bowl that year, the most prized trophy to this day. Competitors arrive from all over the world to follow the 50 nautical mile course. 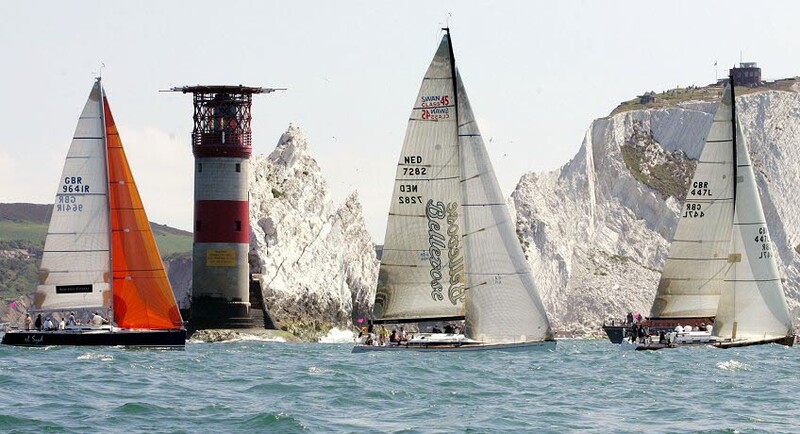 Starting on the famous Royal Yacht Squadron line off Cowes, the fleet races westwards to The Needles, and then eastwards to round St Catherine's Point and on to Bembridge Ledge buoy, and back into the Solent heading west to the finish line off Cowes. As technology improves, record breaking has become an important feature of the race, particularly since a multihull class was introduced in 1961. The course record in 1962 was set by Don Robertson at 5 hours 50 minutes. On the 50th anniversary of the race in 1986, things got a whole lot quicker with "Paragon", sailed by Mike Whipp and Olympic medalist Rodney Pattison, flying round in just 3 hours 55 minutes and 28 seconds, creating a new race record. This stood for 5 years until Francis Joyon and 'Idec' recorded a time of 3 hours 8 minutes and 29 seconds in 2001 - a record that was not beaten until 2013, when Sir Ben Ainslie helmed his AC45 catamaran to post the first sub-three-hour race with a time of 2 hours 52 minutes and 15 seconds. 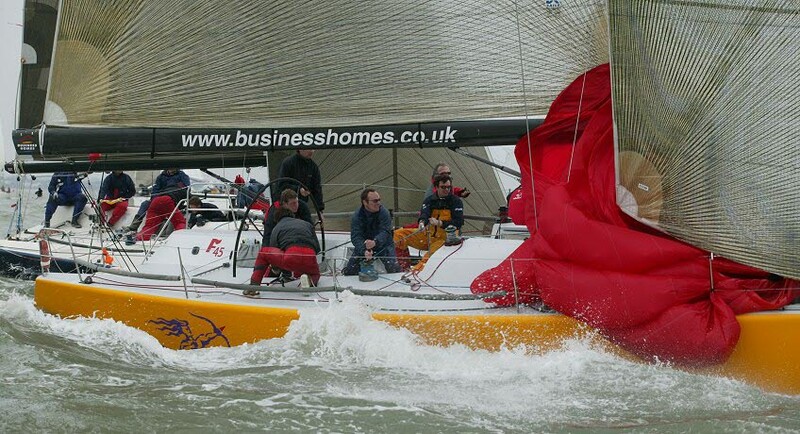 Property developer and current monohull record holder, Mike Slade has broken the monohull record on five occasions, firstly in 1991 sailing "Ocean Leopard". He then did 23 minutes better in 1996 sailing "Hoya Longabarda" and further improved in 2001 with "Skandia Life Leopard" at 4 hours 5 minutes and 40 seconds. 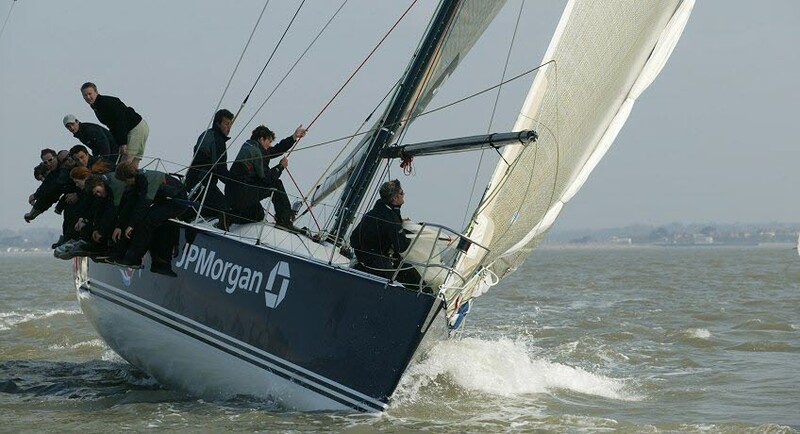 The lively conditions in 2008 enabled him to break his own record once more in "ICAP Leopard", and the near-perfect conditions of 2013 allowed ICAP Leopard to shave a further 10 minutes off her own record, posting an elapsed time of 3 hours 43 minutes and 50 seconds. In recent years, the Round the Island Race has become a popular challenge for sailors at all levels of experience and abilities, attracting classic yachts such as the elegant J Class "Velsheda" as well as state-of-the-art, record-breaking greyhounds. Olympic gold medallists have tried their luck in the Sportsboat Rule and IRC classes, whilst grand old ladies of the sea, "Suhaili", "Gipsy Moth IV" and "Lively Lady", have given more modern designs a run for their money. The ISC Rating System division, for un-rated yachts, now exceeds the regular racers. For some of these sailors, this is their one race of the year whilst for others it is their first taste of yacht racing. Entries come from all over the south and east coasts of England as well as from France, Belgium, Channel Islands and further afield. The event is reported in media across the world – from Brazil to Japan, Hungary to New Zealand. Spectators can find many vantage points on the Isle of Wight to watch the race progress. 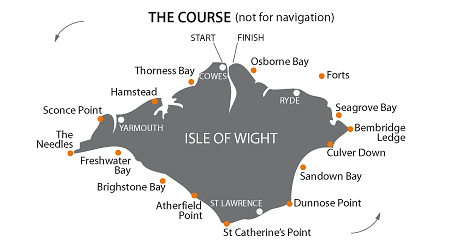 The first class starts from The Royal Yacht Squadron Line in Cowes at 7am in 2019. The boats cross the start line at Cowes in eleven separate groups, starting every 10 minutes from 0700 until 0910 and heading in a westerly direction towards Yarmouth. The boats pass round the Needles Lighthouse, along the south-west coast of the Island to St. Catherine's Point and then up across Sandown Bay to round the Bembridge Ledge Buoy. The fleet then makes its way either side of No Man's Land Fort and across Osborne Bay to the finish line back at Cowes. 1030-2200 Via Ward Avenue, Baring Road & Castle Hill to the Parade and the Green either side of the Royal Yacht Squadron. SCONCE POINT 0900-1130 From Yarmouth, drive towards Freshwater. Turn right after 1/2 mile and follow signs to Fort Victoria. THE NEEDLES 0930-1200 From Freshwater or Totland follow signs to the Needles Car Park. Park and walk up West High Down to Needles Battery. Best view to south of Coast Guard Station. CHILTON CHINE 1015-1330 Situated on the cliffs near Brighstone is Chilton Chine (accessible from the Military Road). It has a terrific view of the boats as they sail by. ST. CATHERINE'S POINT 1100-1500 From Freshwater, Rookley or Ventnor go to Niton. Take loop road to Buddle Inn. Park and walk down cliffs by lighthouse. VENTNOR 1115-1530 Park on Cliff at West End of Esplanade. BONCHURCH 1130-1600 Take lane down to sea opposite Bonchurch pond. Take left turn and park in car park at bottom, which is best view. RYDE PIER 1300-1900 From Ryde Esplanade, drive up pier and park at end. Parking for 1 hour. You can also keep an eye on the race's progress on the website, via the Island Sailing Club's live text commentary and boat tracking facility. The race is a great opportunity to watch world-renowned sailors racing against families and first time racers. Although the majority of the fleet will take many hours to complete the race, the course records stand at 3h 43m 50s for a monohull boat, set by Mike Slade on ICAP Leopard in 2013, and 2h 52m 15s for a multihull boat, set by Sir Ben Ainslie on J.P. Morgan BAR also in 2013. 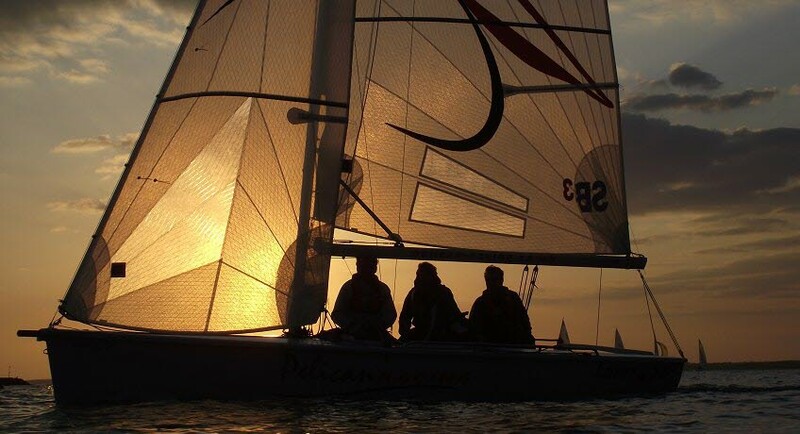 Over 60 prizes are awarded for the event and every boat taking part in the race receives a memento of the occasion. Checkout our guide to the best places to enjoy the spectacle on 7th July with the key viewing spots and some good places to grab some breakfast or lunch along the way. Cowes - Cowes seafront obviously offers the best possible views of all the yachts setting off on this mammoth race. Why not breakfast at The Little Gloster in Gurnard and sit back and watch as the water in front of you becomes a moving sea of colour? Fort Victoria – There are always lots of people on the grass and up on the roof at Fort Victoria watching as the views to the North Island become eclipsed in a fog of brightly coloured sails. Verdi's Café, or The Boathouse just along the beach would be a great place to sit and enjoy some breakie as the boats race by. Or further on round Sconce Point is Colwell - perfect to grab some breakfast from Captains Cabin or a lovely coffee at The Hut. The Needles – For a breathtaking view and watching the boats as they attempt to make the best time possible round the Needles, high up on the top of the downs at the Needles Battery is a great place to catch the action. 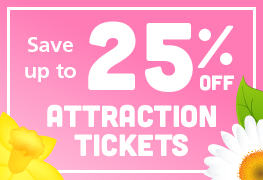 Take a thermos and picnic! The Back of the Wight - All along the cliffs and beaches from Compton to Chale offer great views of the yachts sailing by. The fleet need to move further offshore here to ensure deep water so it is best to have a bit of height – The Sun Inn at Hulverstone has a beer garden that offers unparalleled views down to the sea. St Catherine's Down - With unprecedented views across the whole Island at any time, this is a wondrous vantage point to watch the boats sail by. Just a short drive around the coast, on the road that makes it way down to St Catherine's Lighthouse (another great spot perched on the most southerly point of the Island), is The Buddle Inn a great local pub with outdoor tables offering a sneaky view down to the channel. Great for a spot of lunch. Ventnor - Just along the coast the Esplanade in Ventnor is always a good spot to sit and watch the boats with the Spyglass pub being a great place to base yourself. Or even take a blanket and lie on the beach catching a few rays between boat spotting with the bins. Culver Down - between Sandown and Bembridge is a high vantage point for watching the action. The Culver Haven Inn is located right at the tip of the Down so perfect for a pint and a spot of lunch while watching the boats pass by. Priory Bay - For those of you who might fancy a glass of something bubbly while watching the boats go by then a stop at the Priory Bay Hotel is always a treat. With a beautiful Terrace looking directly out over the channel or stroll down to the private beach for an uninterrupted view. Seaview & Ryde - The first of the fleet will come round past Seaview and head for Ryde from 2pm onwards and now the race really is on. To feel part of the action try The Boathouse in Seaview right on the front and serving fantastic food or try Three Buoys in Ryde again located on the waters edge. 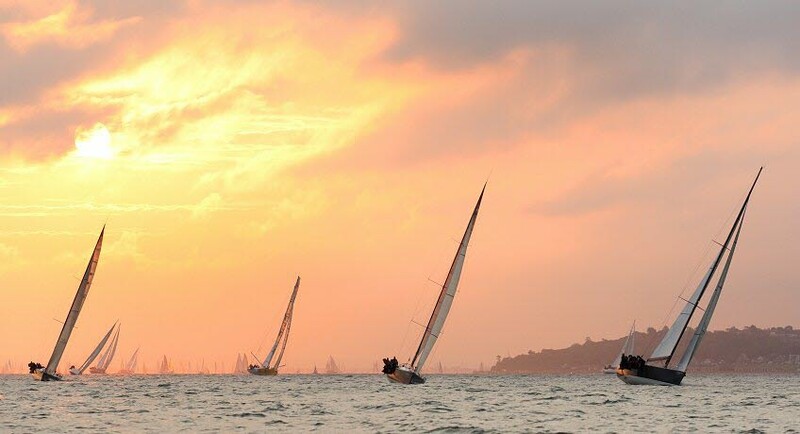 Cowes – Catch the boats as they come over the finish line and then head to one of the many great hostelries and bars throughout the town to celebrate with the many sailors who have completed this amazing race – our top spots would be the Gastronomy Cowes, Coast, the Union Inn & Anchor Inn. On foot - on race day, our Red Jet service operates every 30 minutes to West Cowes. The crossing takes 23-25 minutes. 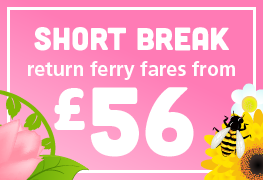 You can also travel as a passenger on our hourly service to East Cowes - there will be great views if you choose a sailing which arrives around the race start or finish times. There is much to see in Cowes but you can catch the frequent Southern Vectis bus (service 1) to Newport for onward connections to other places on the Island to watch the race - see the Spectators tab for more details. Taxis are available to hire from East & West Cowes and bicycles can be hired in West Cowes. 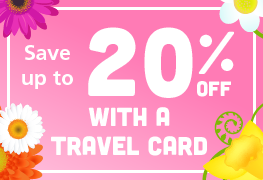 For car hire, we recommend Enterprise - they will pick you up from either terminal if you tell them your arrival time. Another option is to join the Enterprise Car Club and hire a car by the hour from the terminal in West Cowes. By car - catch the hourly car ferry service to East Cowes. 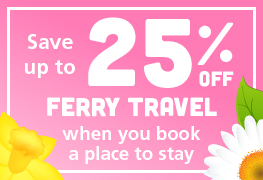 On arrival, you can take your car on the floating bridge across the river Medina to West Cowes OR head to a different location on the Island to watch the race.